In Theaters - December 15, 2017 - The Last Jedi and Ferdinand - Will Ferdinand see red? In Theaters – December 15, 2017 – The Last Jedi and Ferdinand – Will Ferdinand see red? – The sequel to Star Wars: The Force Awakens is finally here! We don’t have a lot of information about The Last Jedi since Disney has been so tight lipped. 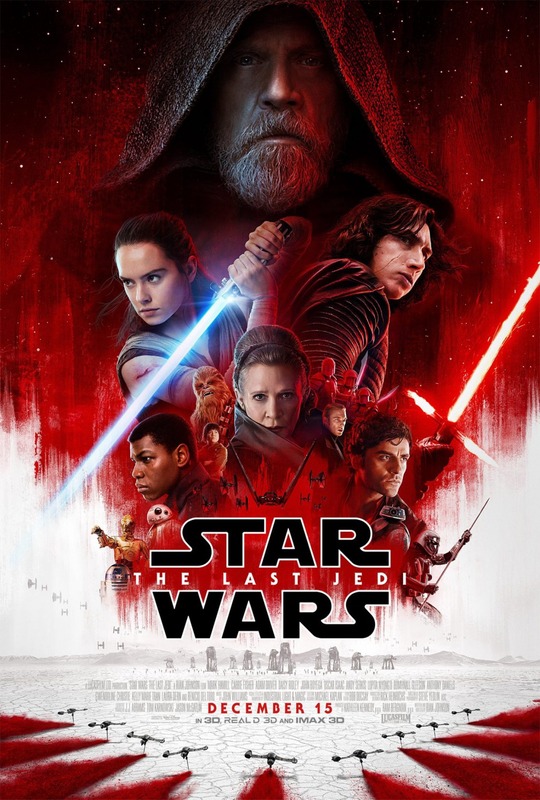 But after Rey found Luke Skywalker leading a solitary life on the home planet of the Jedi, she tries to convince him to both train her in the ways of the Force and to return to the Rebellion to bring hope to the universe. Meanwhile, Kylo Ren and General Hux try to wipe the last of the resistance out while they are their most vulnerable. – Stars Mark Hamill, Carrie Fisher, Adam Driver, Daisy Ridley, John Boyega, Oscar Isaac, Andy Serkis, Lupita Nyong’o, Domhnall Gleeson, Anthony Daniels, Gwendoline Christie, Kelly Marie Tran, Laura Dern, and Benicio del Toro. Directed by Rian Johnson. Rated PG-13. – Ferdinand is based on the 1936 children’s book The Story of Ferdinand. If at first the story seems familiar, that’s because the story had been adapted before by Walt Disney in 1938 as a short cartoon film. 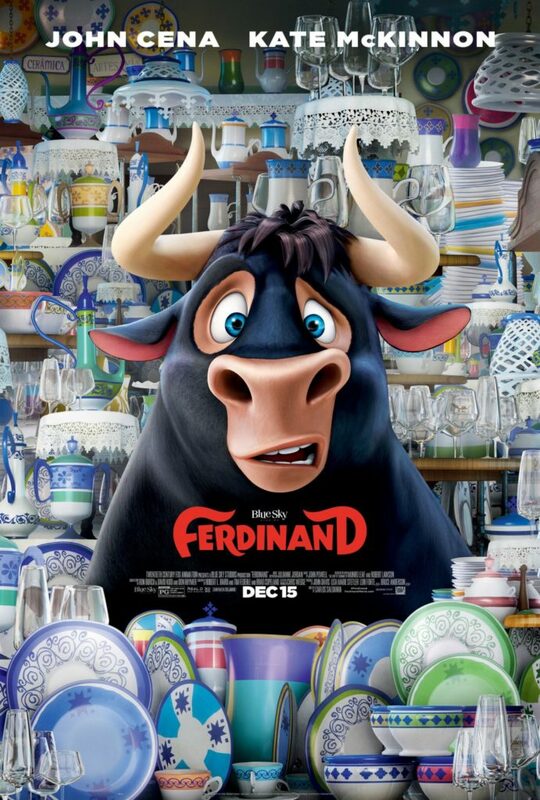 In this updated version by Blue Sky Studios (previously of Ice Age and Rio), Ferdinand is a gentle bull that would rather smell flowers then to fight. When his father doesn’t return from a bullfight, he escapes to a farm of a florist. When he grows up, he’s discovered and returned back to the bull training camp. He has to find a way to escape before he is forced to fight El Primero, a famous bullfighter that has never lost a match. – Stars John Cena, Kate McKinnon, David Tennant, Bobby Cannavale, Anthony Anderson, Peyton Manning, Tim Nordquist, Gina Rodriguez, Daveed Diggs, Gabriel Iglesias, Miguel Ángel Silvestre, Flula Borg, Boris Kodjoe, Sally Phillips, Jerrod Carmichael, Karla Martínez, Raúl Esparza, Lily Day, Juanes, and Jeremy Sisto. Directed by Carlos Saldanha. Rated PG.